The Netflix of comics is coming to the Nintendo Switchä! Izneo, the first online platform dedicated to comics, European comics, mangas, graphic novels and Webtoons, is announcing today the availability of its reading app on the Nintendo Switchä for this November 2018. Already available on computer, smartphone and tablet, the Izneo player will allow Switch owners to brilliantly access and purchase their favorite content from Izneo’s ever growing and hugely popular catalog on the go or on their TV. Additionally to the Switch launch, Izneo will also be available on Nvidia Shield, Smart TV Phillips, Sony and all the Android TVs. The most prestigious franchises are on Izneo! 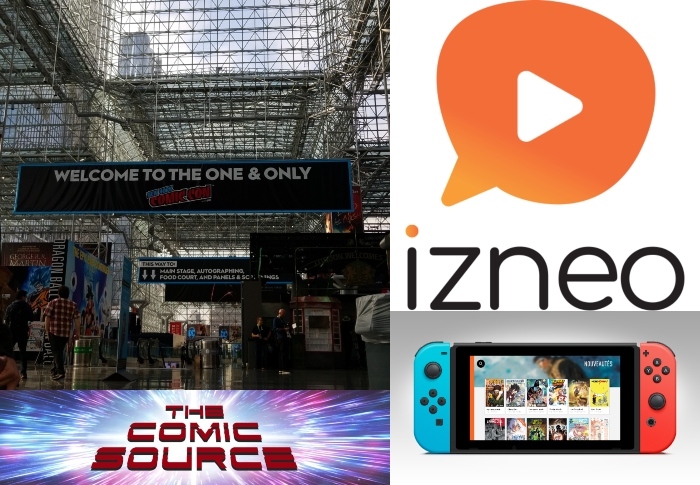 Readable both online and offline, Izneo will give Switch owners access to thousands of digital comics. While comic books fans alike will be delighted to find renowned titles like Hellboy, Aliens, Buffy or Doctor Who, European comics enthusiasts will devour the best of the genre: Blacksad, Largo Winch or Valerian.. Mangas aficionados are not forgotten either with Appleseed, Sherlock, Assassin’s Creed and many, many more!